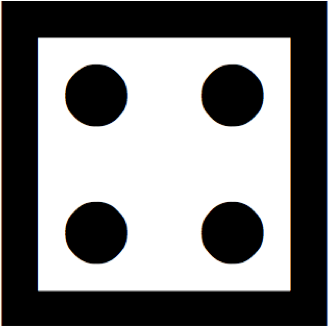 We will illustrate the core concepts of probability using the scenario of rolling a pair of dice. Probabilities are defined with respect to some event space, which is the set of all possible outcomes. 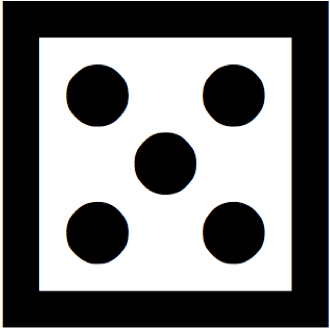 In our case, there are 36 possible ways of rolling two dice, so the event space consists of the 36 outcomes in the grid. Your roll contains a 5. Your total roll is greater than 8. For this simulation, we will represent these events more concisely as 56, 32, contains a 5, > 8. To see an event of your choice illustrated in the grid, choose the relevant event by clicking the "choose" button for Event 1 or Event 2. 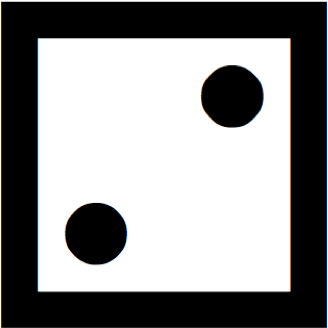 For example, the probability of 56 is 1/36, because there is only one outcome where the roll is 56 (specifically, that outcome is the one where you roll 5 and 6! ), while there are 36 total possible outcomes. Using the notation where p(e) means the probability of e, a shorter way of saying "the probability of rolling 5,6 is 1/36" would be p(56) = 1/36. 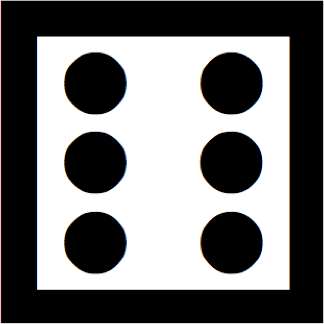 The probability of two events occurring together is called the joint probability of those two events (with "joint" being used as in a joint business venture). The joint probability of A and B is denoted as p(A, B). 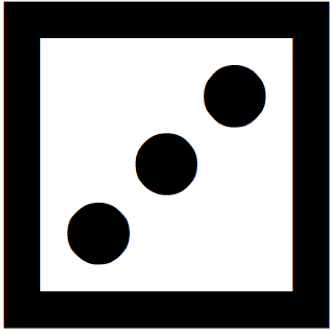 For example, the probability that your roll will be both even and greater than 7 is written p(even, >7). To view a joint probability in the grid, choose your two events as Event 1 and Event 2. The instances where they both occur will then show up as green in the grid. Since the joint probability of two events is the probability of both of them occurring, you can compute the joint probability by dividing the number of green squares by the total number of squares. The probability of an event A occurring given that some event B occurred is written p(A|B) (which you can read as "the probability of A given B"). Such a probability is known as a conditional probability because there has been some condition, B, placed on the event space. Another way you can think of p(A|B) is as denoting "assuming that B has occurred, what is the probability that A also occurred?" In the grid to the left, you can impose a condition on the grid by selecting it from the Choose button under "Condition." 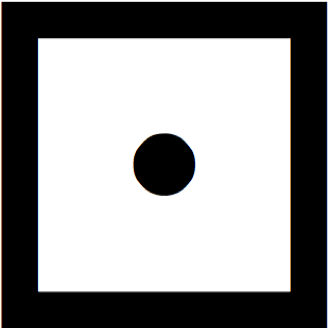 The effect of doing this is to reduce the total number of squares because the condition in a conditional probability effectively reduces the size of the event space. In other words, you don't even consider the outcomes that do not fulfill the condition. As with any other probability, a conditional probability is defined as the number of outcomes in which our event occurs divided by the total number of outcomes. The only difference is that the condition reduces the denominator (the total number of outcomes) and possibly also the numerator. For the three expressions above, confirm that this equation holds true. The remaining components of this tutorial will focus on this equation and how it is used; but for now just confirm that this equation holds true for all three conditional probabilities from the previous section.